This workshop is part of a new initiative at the PTC to invite our touring poets and translators to introduce us to new writers from their culture that have inspired them. Dave Haysom is a Chinese Translator who introduced the PTC to the work of Yu Yoyo in 2016 when we translated her poems 'do not fear heights' and 'people’s central street section two' at a workshop lead by the UK poet Clare Pollard. 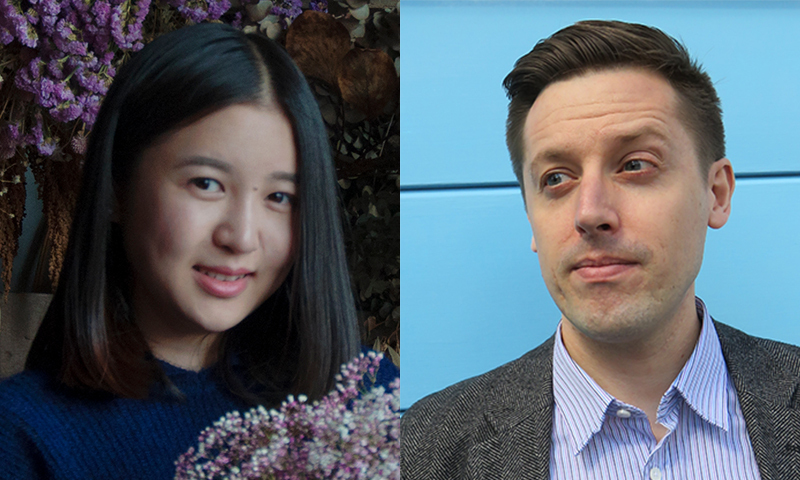 In July Haysom and Yoyo will be touring the UK with the PTC and they will take this opportunity to lead a workshop translating the work of a new Chinese poet. Born in 1990, Sichuanese poet Yu Yoyo had already begun to earn critical attention before she turned sixteen, publishing dozens of poems in Poetry, Poetry Monthly and other prestigious publications in China. She is now seen as a representative voice among the post-90’s generation, especially known for her mature voice and subtle treatment of modern femininity. Dave Haysom is a literary translator and editor who has been living in Beijing since 2007. He first started publishing translations online at spittingdog.net in 2012. In 2014 he became joint managing editor of Pathlight, a quarterly journal of Chinese literature in translation, and in 2015 he helped launch “Read Paper Republic”, a year-long initiative to publish one translation online every week. Buy this Season Pass for all 6 workshops and save money. "I really enjoyed it. I'll be coming back for more this season."